The full NSDC report “Evidence of the Russian Armed Forces Involvement in Combat Actions in Donbas” can be downloaded here. Donbas locals and mercenaries from Russia now account for less than half of personnel in the units fighting in the Donbas with Ukraine. These units are led by Russian officers, names of some of them are known, said Olexandr Turchynov, the Secretary of the National Security and Defense Council of Ukraine (NSDC), as reported by the council’s press service. “During the summer of 2015, there have been dramatic changes in the nature of Russia’s participation in military operations in eastern Ukraine. The armed forces of Ukraine are now confronted not with mixed groups of Russian regular military and terrorists, as it has been since the beginning of the occupation, but structured military units of the regular army of the Russian Federation,” he said in a statement. According to Turchynov, the military leadership of the Russian Federation has completed “the creation of a powerful formation based on two army corps prepared to conduct active offensive operations” in the Donbas. 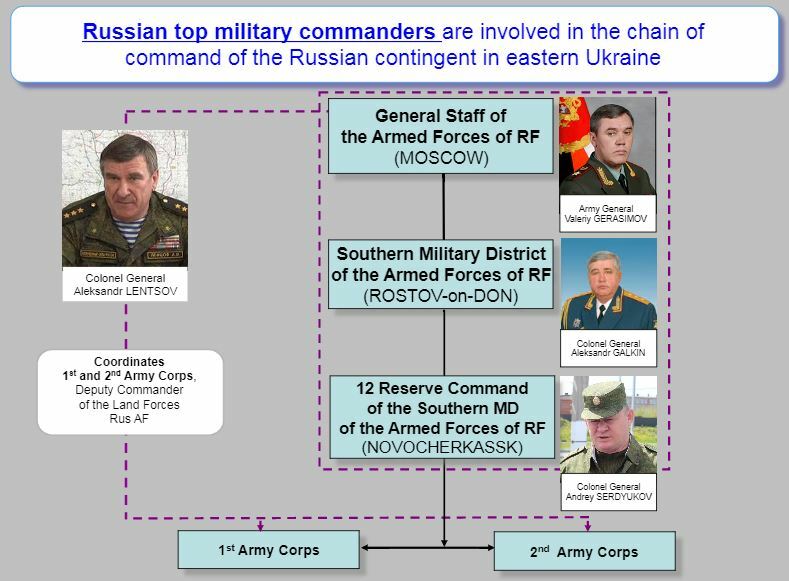 “The management and logistics of the 1st and 2nd Army Corps is performed by a specially created 12th Reserve Command of the Southern District of the Armed Forces or the Russian Federation (with headquarters located in the city of Novocherkassk, Rostov oblast of the Russian Federation). The main command and staff positions in these army corps are occupied by cadre officers of the Russian Federation,” said Turchynov. “The enlisted personnel is formed up to 40% with inhabitants of the occupied territory of the Donetsk and Luhansk oblasts, as well as with contract soldiers and mercenaries from Russia, who received combat experience during the war in the east of Ukraine and in the hot spots of the Russian Federation. The size of the two corps is up to 35 thousands people,” he said. 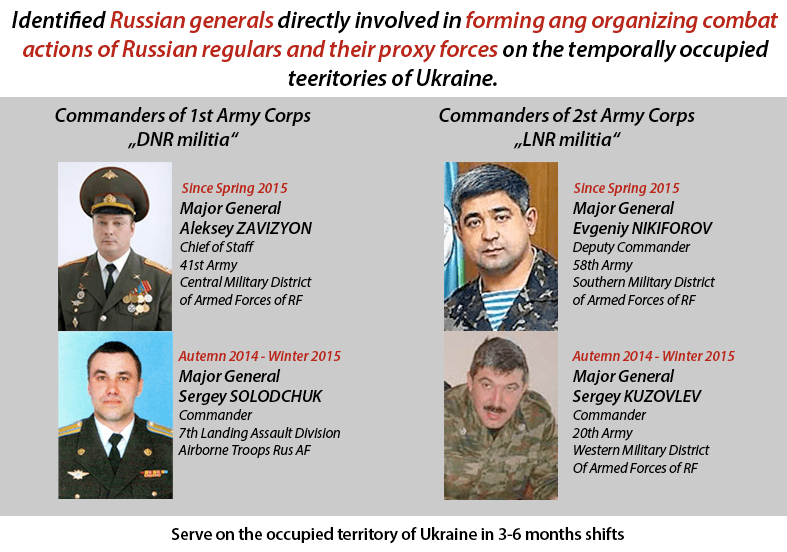 “Additionally, in the occupied territories, there is a military reserve consisting of 21 tactical groups of the Russian Armed Forces (15 battalion and 6 company groups) of more than 9,000 people. Further 53 tactical groups of the Russian Federation Armed Forces (39 battalions, 14 Working Capital) numbering 50.5 thousand people are concentrated at the eastern border of our country,” said Turchynov. “Waffen SS” were the military units of SS during World War II. German leadership staffed them with volunteers from the occupied countries, while they were led by cadre officers of the German SS. Turchynov believes that this experience has been adopted by the General Staff of the Russian Federation Armed Forces for fighting in Eastern Ukraine. “We have basic data on the generals and officers of the Russian military making up the leadership of the Russian occupation forces. The materials on them have been transferred to the General Prosecutor’s Office to open criminal cases,” he said. “The command of the 1st Army Corps as of the beginning of August 2015 was carried out by Major General Alexei Vladimirovich Zavizyon, seconded from the post of Chief of Staff of the 41 Army of the Central Military District of the Russian Armed Forces, who uses the cover surname for documents – ‘Pilevin‘,” said Turchinov. 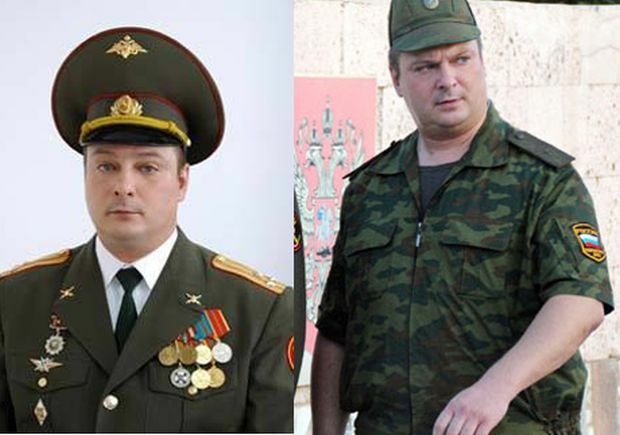 “The commander of the 2nd Army Corps is Major General Yevgeny Valeriyevich Nikiforov (cover surname for documents – ‘Morgun‘), seconded from the post of Deputy Commander of the 58th Army of the Southern Military District of the Russian Federation Armed Forces. Also, here, there was a rotation. 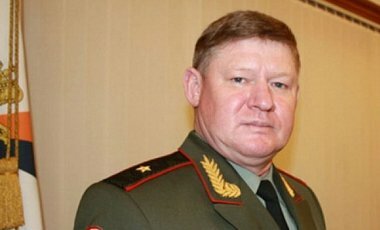 Until recently, the corps was headed by Lieutenant General Sergey Sergeyevich Yudin, the Chief of Staff of the 20th Army of the Western Military District of the Russian Federation Armed Forces,” he adds.